You'll be able to set this up via the Integrations page on the left hand side in any project. Click to add a new integration, then select Rollbar as the service. 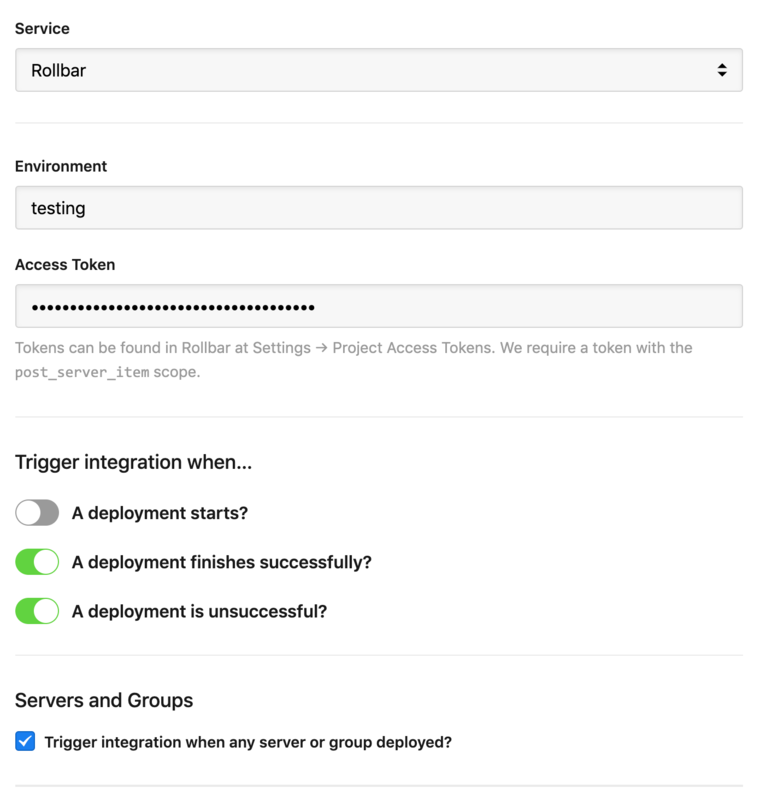 Then, you'll just need to enter your Access Token (this is generated in Rollbar via Settings -> Project Access Tokens), and add an environment. Once you've configured when you want to send notifications and which servers you want to send them for, click Create Integration. 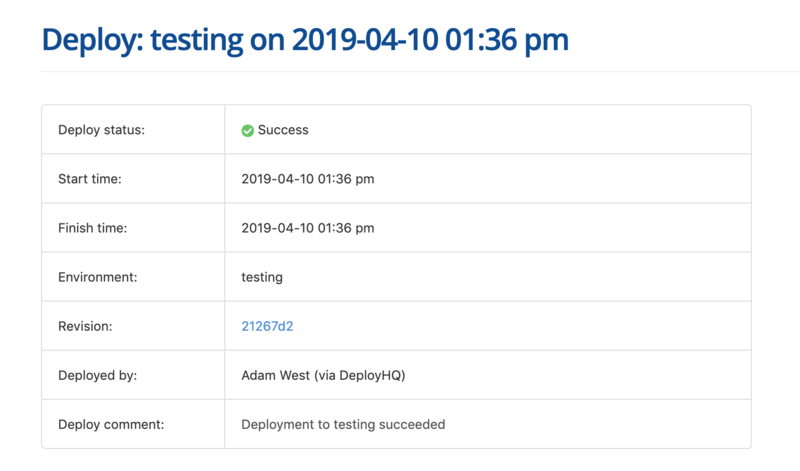 After that, any appropriate deployments will send a notification to your Rollbar project, which you can view within the Deploys area. We have a number of other integrations on the way very soon and as part of this, you will have now seen that we've made an update the project interface. Integrations on the left hand side is now there in place of Notifications, but everything is still configured in the same way as before. We'll be making a number of other UX updates to the platform in the coming months, which we'll be providing updates about here. If you have any questions about this or any other aspect of the service, please get in touch.